In 1513, fifteen years before Castiglione published his Cortegiano (1528), Niccolò di Bernardo dei Machiavelli (1469-1527), published The Prince (Il Principe), first entitled De Principatibus. Both Castiglione and Machiavelli wrote exceptionally influential works. The Prince is in fact compulsory reading for students of political science. Moreover, both writers were familiar with the works of Græco-Roman antiquity. Machiavelli is also the author of the more substantial Discourses on the First Ten Books of Livy. Il Principe was written for Lorenzo II di Piero de’ Medici (September 12, 1492 – May 4, 1519), the grandson of Lorenzo the Magnificient, perhaps the most prominent Medici. Ironically, Lorenzo II was Duke of Urbino from 1516 to 1519, the very court where Elisabetta Gonzaga’s gatherings inspired Baldassare Castiglione to write Il libro del cortegiano. Francesco Maria I della Rovere (22 March 1490 – 20 October 1538), the adopted heir of Guidobaldo de Montefeltro (January 17, 1472 – April 10, 1508), Elisabetta’s impotent husband, lost control of the dukedom of Urbino to the Medici. However, the Medici also lost control of the dukedom. It was returned to the Montefeltro family. These were embattled families. As for Lorenzo II, Machiavelli’s student and briefly a Medici Duke of Urbino, he died of the plague in 1519, one year fafter his marriage to Madeleine de la Tour d’Auvergne and a few weeks after the birth of his daughter Caterina who would marry Henry II, the King of France where she became Catherine de Médicis, Queen consort, and incited her son Charles IX to order the St. Bartholomew’s Day massacre (1572). 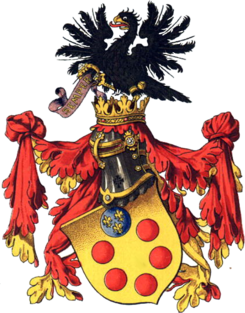 Lorenzo II’s wife, Madeleine, also died in 1519. Although Machiavelli’s Il Principe was dedicated to a Duke of Urbino, it could be viewed as the dark side of Il libro del cortegiano. Il Cortegiano describes a courtier whose manners we associate with medieval courtly love and the gallant behaviour of the men who were habitués, regulars, in the salons of seventeenth-century France. 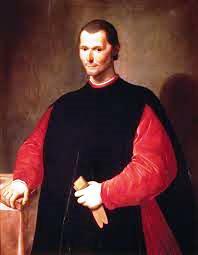 But there is nothing gallant about Machiavelli’s prince. Il Principe is the description of the ruthless ways in which a prince, preferably a new prince, attains and retains power. In fact, if any book influenced Machiavelli, it may be Reynard the Fox, beast literature’s foremost trickster. In Chapter XVII of The Prince, Machiavelli writes that it is best to be loved than to be despised, but in Chapter XVIII, he speaks of faithlessness and instructs the prince to be ruthless and “employ” the fox. Of this [faithlessness] endless modern examples could be given, showing how many treaties and engagements have been made void and of no effect through the faithlessness of princes; and he who has know best how to employ the fox has succeeded best. One may therefore look upon The Prince as the depiction of a profoundly corrupt world. However, it may be more prudent to consider this enormously influential work as both descriptive and prescriptive. Although Machiavelli teaches the now proverbial “the end justifies the means,” the end being ‘righteous’ power, the Centaur is half human. The human half does not however redeem the bestial half, but Machiavelli’s advice to the prince is the fruit of experience. Men are not entirely good, hence the need for the prince to be ‘beastial’ and as crafty as the fox. If men were entirely good this precept would not hold, but beacause they are bad, and will not keep faith with you, you too are not bound to observe it with them. As for the world in which we live in, it has seen a Nixon, impeached because of corrupt actions. But former President Nixon was not altogether bad and he would not have killed. The world has also seen Saddam Hussein and Muammar Gaddafi. And we know about Hitler. History rewrites itself as though humans had no memory. It was not printed until 1532. The Civilisation of the Renaissance in Italy, an essay (London : Folio Society, 2004), p 189. “The Prince.” Encyclopædia Britannica. Encyclopædia Britannica Online. Encyclopædia Britannica, 2011. Web. 18 Oct. 2011. <http://www.britannica.com/EBchecked/topic/476608/The-Prince>. on a subject which has been discussed for ages. As I website owner I believe the articles here is rattling superb , thanks for your efforts. Hello friends, its fantastic post about education and completely defined, keep it up all the time. You actually make it seem really easy together with your presentation but I in finding this matter to be really something which I feel I might never understand. It kind of feels too complex and extremely broad for me. I am looking forward to your subsequent publish, I’ll try to get the hang of it! I actually still can not quite feel that I could often be one of those reading through the important tips found on this blog. My family and I are really thankful on your generosity and for offering me the chance to pursue my own chosen profession path. Many thanks for the important information I obtained from your site. I would like to consider the chance of saying thanks to you for your professional guidance I have always enjoyed browsing your site. I will be looking forward to the particular commencement of my school research and the complete preparing would never have been complete without visiting your web site. If I may be of any assistance to others, I’d personally be happy to help by what I have learned from here. Thanks so much regarding giving me an update on this theme on your web site. Please be aware that if a fresh post appears or if perhaps any alterations occur to the current submission, I would be considering reading more and learning how to make good use of those techniques you talk about. Thanks for your efforts and consideration of other individuals by making your blog available.